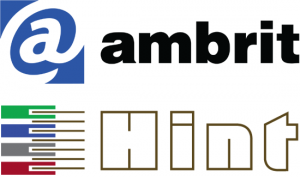 Ambrit is delighted to announce a collaborative relationship with Hint to jointly explore business and technology opportunities. This alliance will begin in the United States, and ultimately go global, as the parties work together to develop cutting-edge solutions for end-to-end metering systems—from the oilfield through to the boardroom. Ambrit and Hint aim to effectively and economically take oil and gas flow measurement to the next level by combining the vast industry knowledge and proven technical excellence of both entities, including some of the most advanced measurement software tools available. Midstream oil and gas will be the initial industry target, focusing on data acquisition from custody transfer flow measurement systems and the management and validation of that data. This will be achieved using Ambrit’s Metrology™ suite of end-to-end metering applications, which includes nine modules purpose-designed to help operators manage all aspects of the measurement process. Metrology™ enables operators to manage assets, perform system calibrations, audit meter readings, and more, while also improving data traceability and accuracy, and is a natural fit for Hint’s market-leading AML-AMADAS (analyzer management and data acquisition system) that monitors, evaluates and improves the performance of analyzers in a cost-effective manner. One of the most exciting developments is a new technology which will enable real-time gathering of high-resolution measurement data from remote flow meters and RTUs, even where bandwidth communication is limited. This innovative approach offers immediate business benefits for oil and gas companies: a reduced reliance on the traditional, labor-intensive requirement for engineers to travel and manually access data; shorter invoicing periods; and fewer entanglements in costly disputes. The current model is focused on oil and gas pipeline measurements but the technology has the potential to optimize data collection processes anywhere that meters need to be read. This is the start of a series of joint business developments, as Ambrit-Hint continue to push the boundaries of end-to-end solutions across all measurement industries.